The esophagus carries food from the mouth to the stomach. The lower esophageal sphincter is a muscular ring at the junction of the esophagus and the stomach. 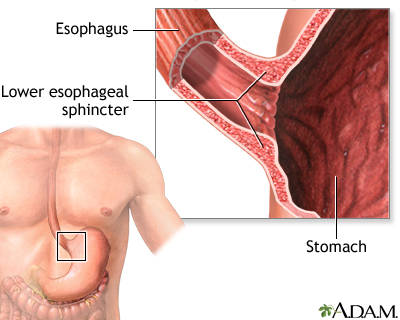 The lower esophageal sphincter relaxes when food from the esophagus enters the stomach.